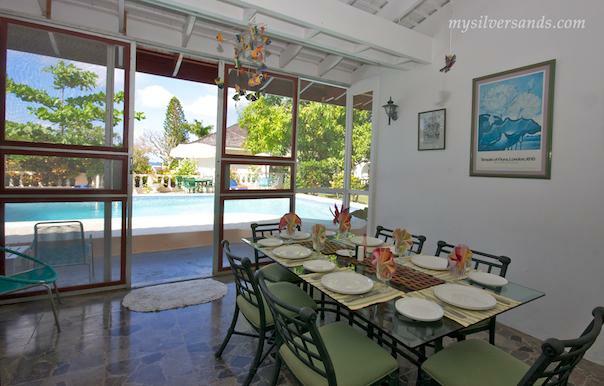 Image 1 of 12: The Swimming Pool at Beach Haven Villa is situated as you step out of the dining area located next to the living room. It is a very good size, allowing the swimming of laps. 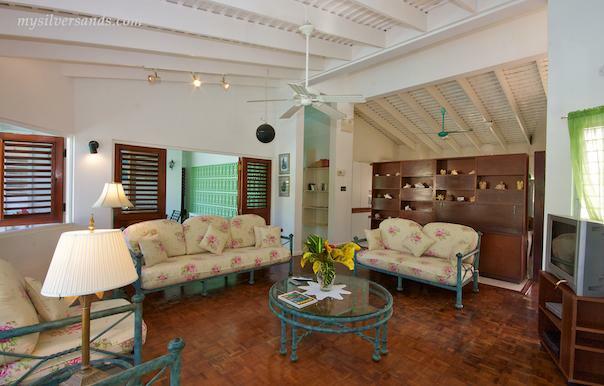 There is lots of sunny space as well as shady areas, a favourite being under the mango tree, where there is also a hammock. A poolside barbecue is available for your enjoyment. 2 of 12: Another view of the large swimming pool. 3 of 12: Another view of the swimming pool. 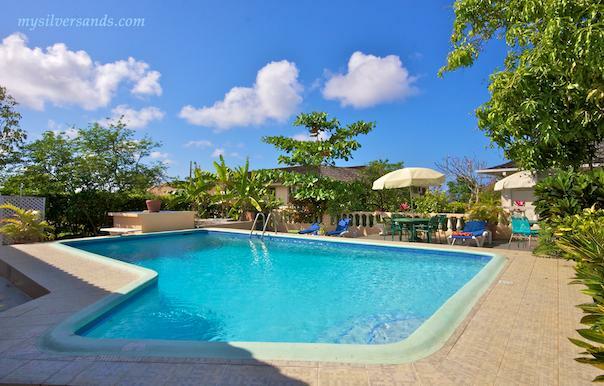 4 of 12: The pool and villa as seen from under the mango tree to the North East of the property. 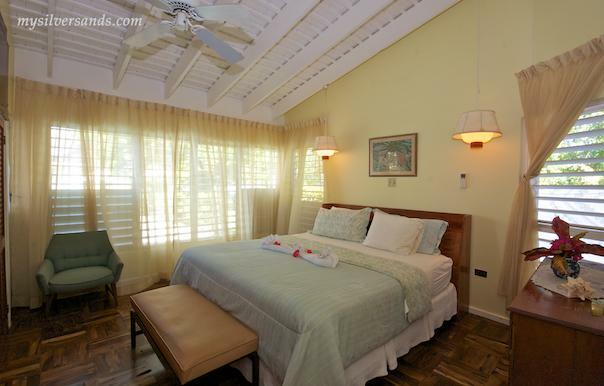 5 of 12: The Living Room of Beach Haven Villa is spacious and very comfortable with a ceiling fan and lots of windows to let in the Tradewinds which blow in from the Caribbean Sea. 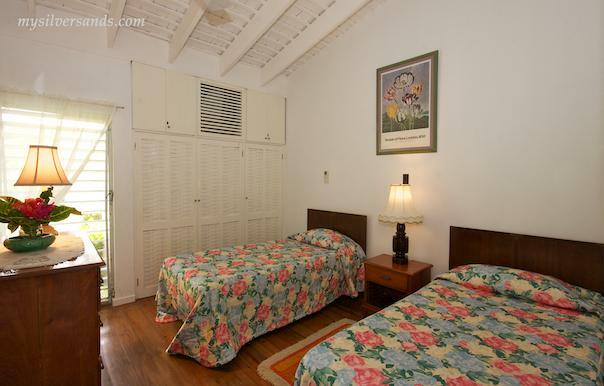 There is satellite television, a DVD player, VCR, and CD player. 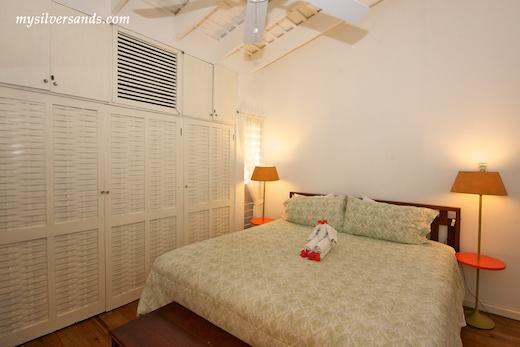 6 of 12: The Master Bedroom at Beach Haven Villa is spacious, air-conditioned and features a king-size bed and ensuite bathroom which has a tub and shower as well as a bidet. 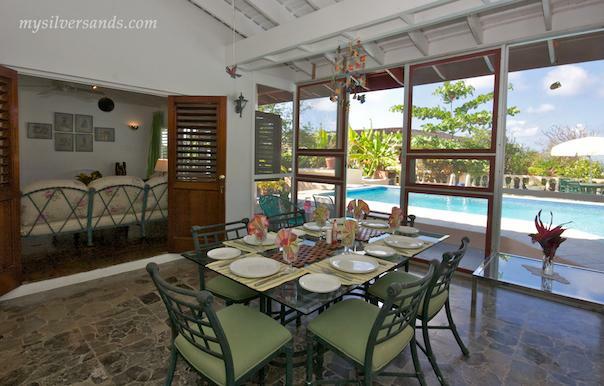 7 of 12: The dining area which is located just off the living room and beside the pool. 8 of 12: No description available. 9 of 12: No description available. 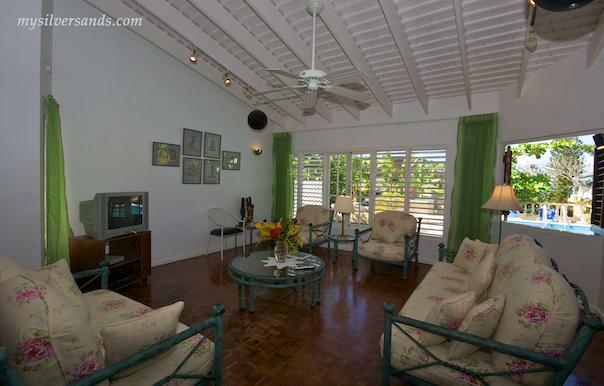 10 of 12: Another view of the comfortable and spacious living room with the dining area to the rear. 11 of 12: No description available. 12 of 12: No description available. 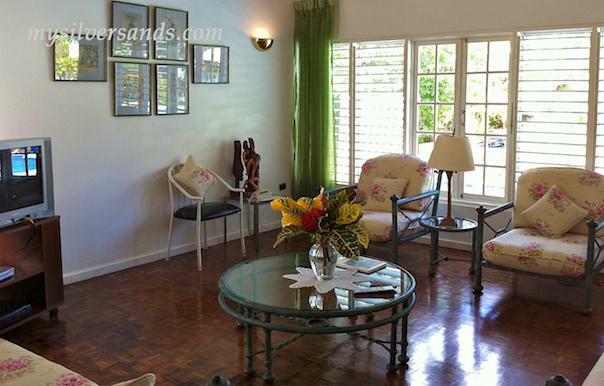 The 3 bedroom Beach Haven Villa is idyllically situated along the famous white sand Silver Sands beach. Enjoy a cooling swim in the large private swimming pool, which is long enough for doing laps, or simply relax and sunbathe on the lounge chairs. 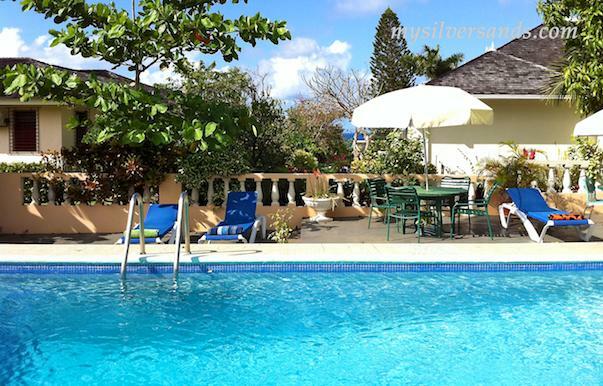 This comfortable and spacious villa offers great value for money. 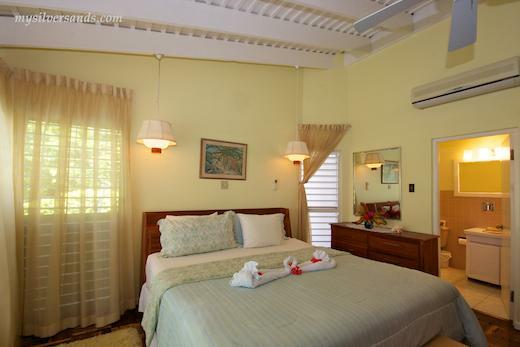 Bedrooms 2 and 3 share a bathroom which is very close, between the two. 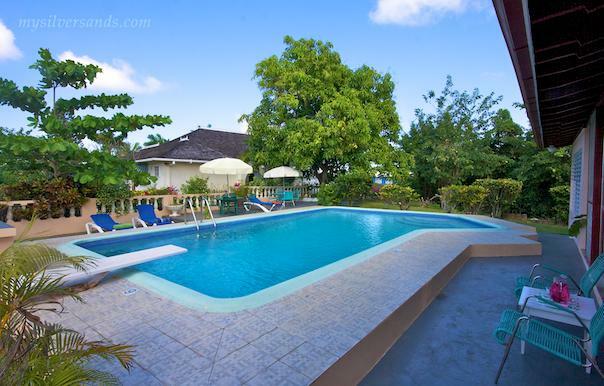 Large swimming pool with lots of deck space, some shaded by a large mango tree. Equipped with satellite television (reception not guaranteed), VCR, DVD, and CD player, Telephone. All doors and windows are screened. Cook and housekeeper work an eight hour day. 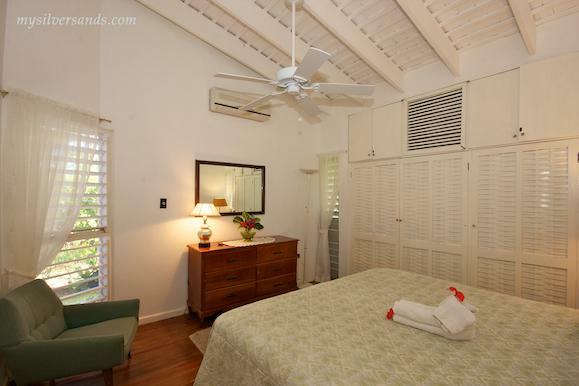 Beach Haven Villa costs from $171.00 to $257.00 per night.